Our team, our lake, our home. 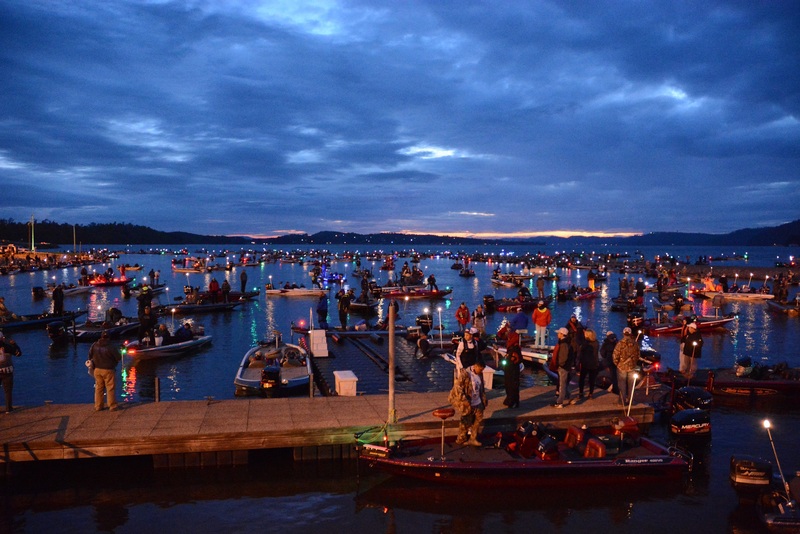 The legend continues to grow for Lake Chickamauga. In February of 2015, Gabe Keen landed a 15.3 lb giant largemouth bass that shattered a 60-year-old state record. But Lake Chick keeps producing. FLW and Bassmaster fields continue to see record numbers as pro anglers unlock the mystery of one of the greatest fisheries in the nation. 2017 Bassmaster HS Largest Tourney in history of B.A.S.S. Dennis is steadfast in his commitment to ensure tournament directors and anglers have everything they need for a successful event or vacation. Mayor Louallen and fellow city council members shared a vision for the City of Dayton to become a bass fishing mecca. Since, the town has seen tremendous growth with over $12 million dollars in investments from private capital to ensure visitors have every accommodation at their disposal. Penny is on the front lines of our hospitality efforts. If you're looking for accommodations or special requests, she can make it happen. When you meet Penny expect a friendly smile and eager-to-help attitude. Where can I buy a Tennessee Hunting and Fishing License? The Go Outdoors Tennessee website is a one-stop location to obtain fishing and hunting licenses / permits (including no cost Harvest Records & HIP Permits), register, renew, and manage your boat / watercraft registrations, apply for quota hunts, Register for safety education courses, and more! I'm looking for a great place to stay in Dayton, what are my options? While we can't give you a specific lodging recommendation, please visit our lodgingfor a full list of options with many catering to the needs of visiting anglers. What activities can my family do in Dayton while I'm on the lake hunting for trophy bass? There are many must-see attractions in Dayton including the Historic Rhea County Courthouse where the Scopes Trial - "The World's Most Famous Trial" was held in 1925. The museum is down stairs and be sure your wife visits the many antique shops and boutiques on MainStreet Dayton. We know you host monster tournament but will you work to accommodate the needs of smaller tourneys as well? Absolutely. Amateur anglers are our life blood. Please view Our Events Calendar for available dates and request a date for your next event on our Contact Us page. We'll give you a follow up call or email to confirm your event. 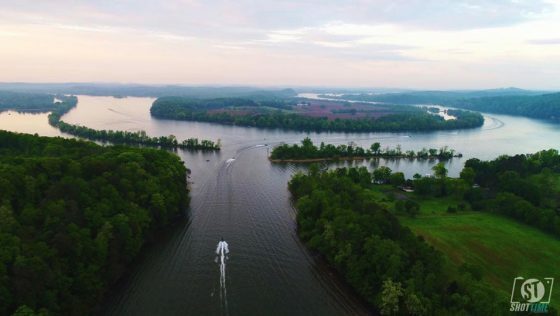 It is well known that Chickamauga Lake has become “The Land of the Giants” for largemouth bass thanks to a Florida-bass stocking program started by the Tennessee Wildlife Resources Agency in 2000. Lake Chickamauga continues to produces record bass for top competitive bass fishing organizations such as Bassmaster and FWL.